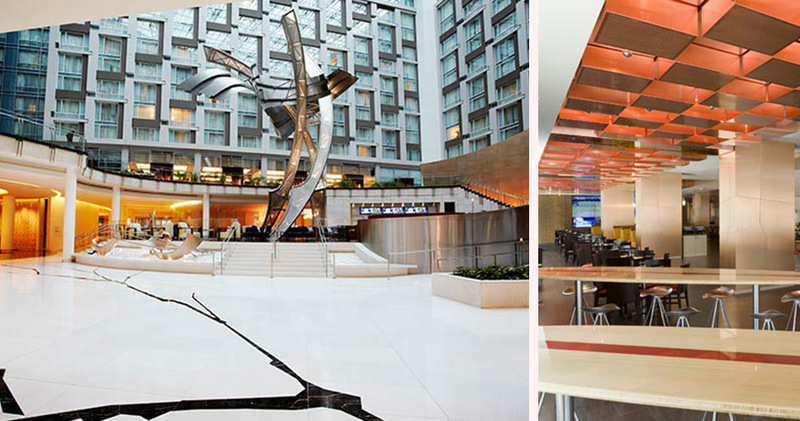 Marriott Marquis Washington D.C. offers easy access to attractions like the Verizon Center and Penn Quarter. 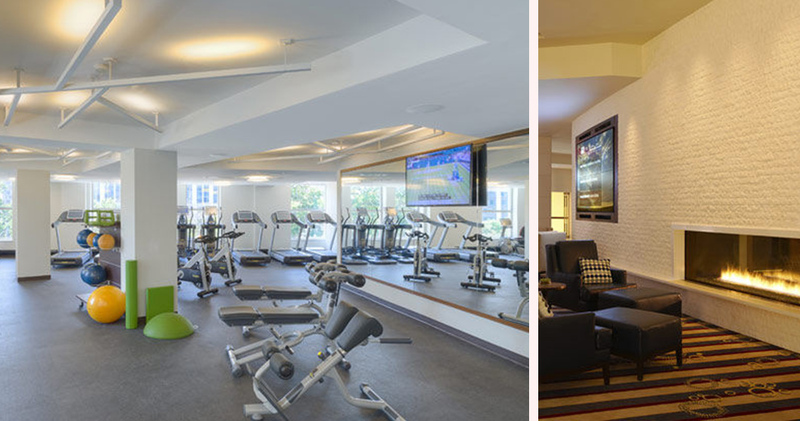 This stylish hotel has a polished, elegant decor with large open spaces that encourage socializing. 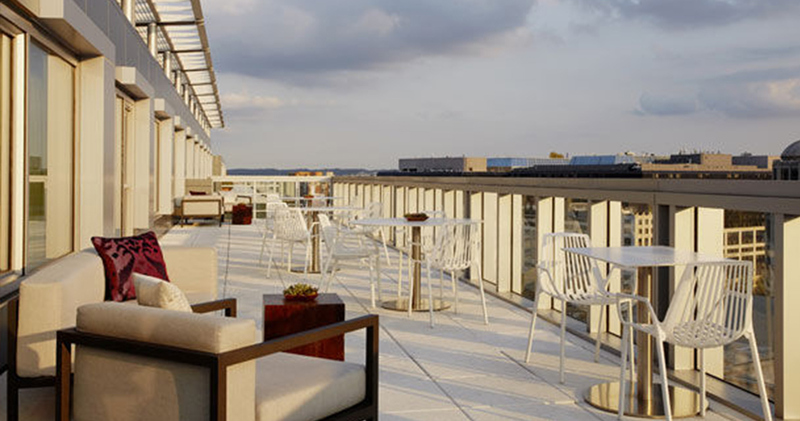 With a spectacular atrium skylight, the hotel has a grand, open lobby. Bathed in natural light, the lobby features a large modern sculpture, polished white flooring, grand pillars and several lounging areas. 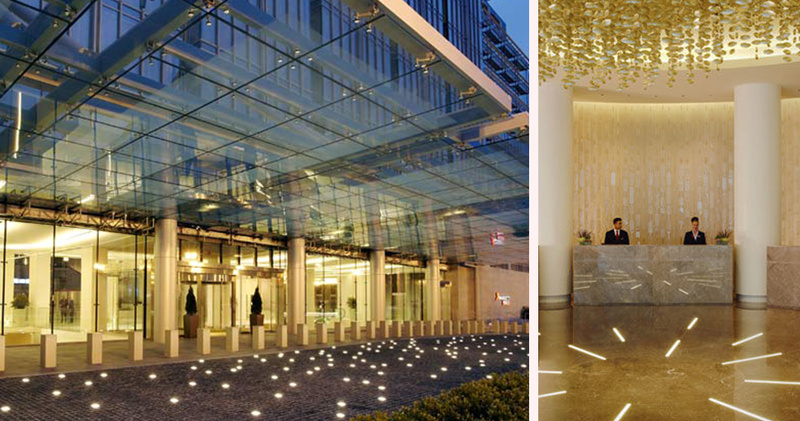 The reception area is an attractive circular space with a large modern chandelier and sleek reception desk. On the ground floor of Hotel Marriott Marquis are five retail stores. 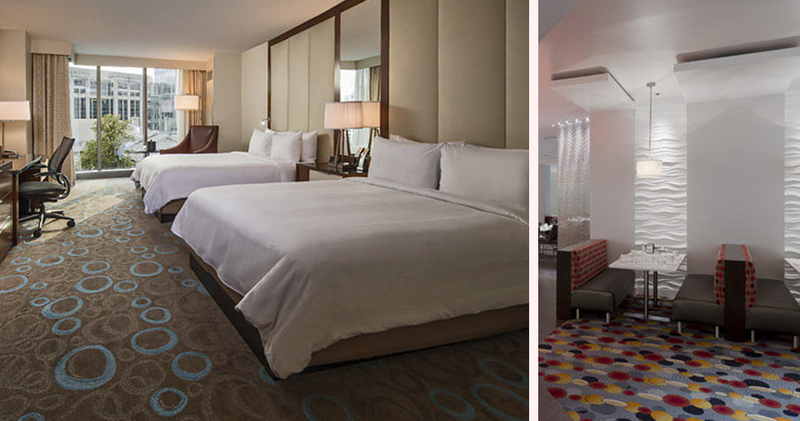 The elegant guestrooms at Marriott Marquis Washington D.C. are inviting and modern. Rooms feature a muted color palette with brown and beige hues, large windows and comfortable furniture. 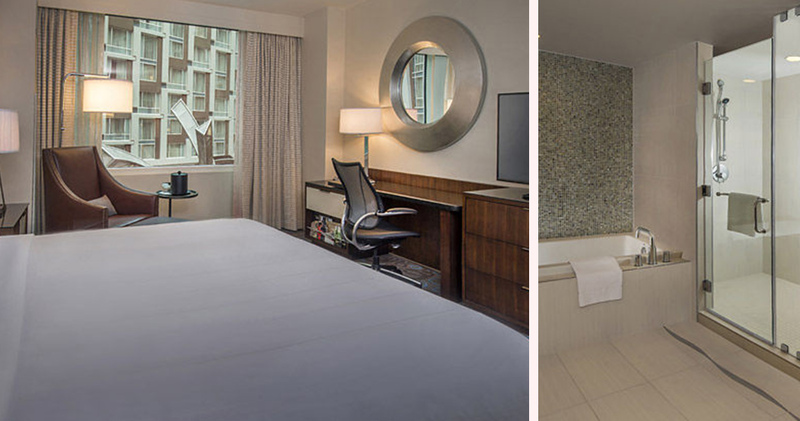 A spacious desk, ergonomic chair, modern leather armchair and hardwood dresser are available in each room. The luxurious beds feature rich cotton linens, custom duvets, down comforters and plush feather pillows. 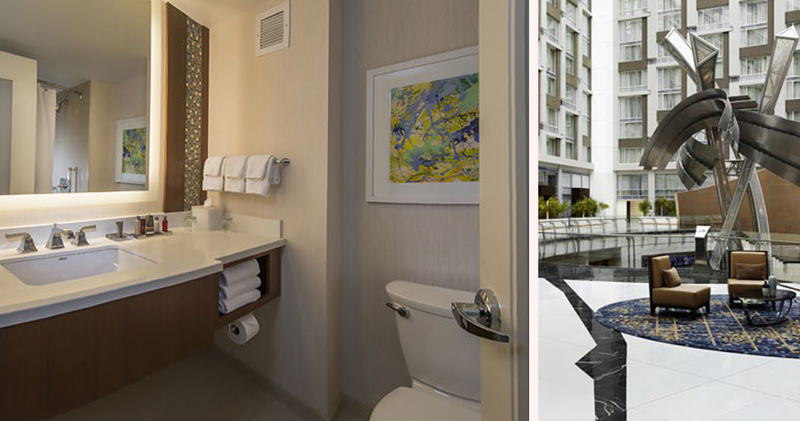 The bathrooms at Hotel Marriott Marquis are sleek and stylish with clean lines, stunning artwork and luxurious THANN amenities. 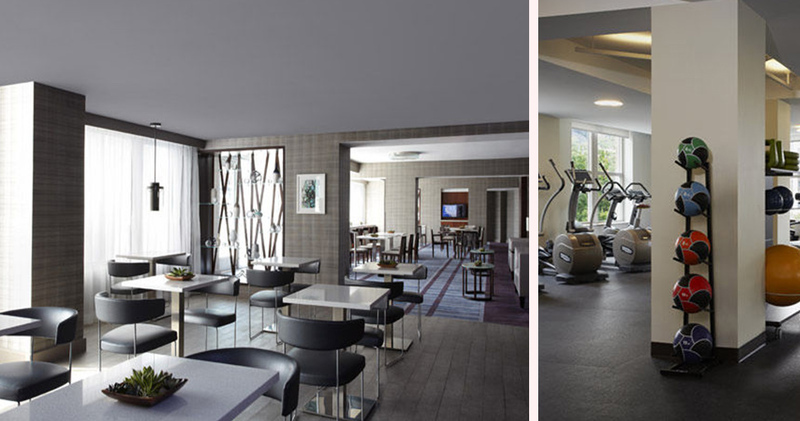 Some of the guestrooms also offer views of the hotel’s beautiful atrium. 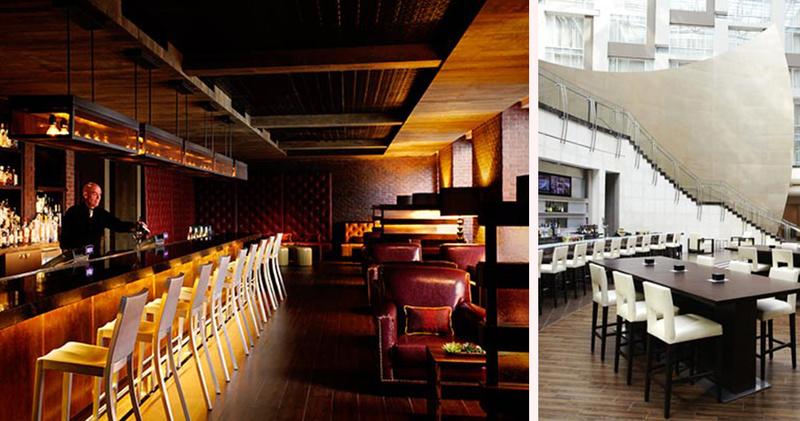 Anthem at Marriott Marquis Washington D.C. is an upscale diner inspired by the hotel’s Hot Shoppe launched in 1927. The restaurant serves seasonal American cuisine. The hotel is also home to The Dignitary, a relaxed patio serving classic cocktails and local bourbons. High Velocity is an interactive sports bar with 40 HDTVs and 48 tap beers.